COMEDIAN TOMMY TIERNAN has had a blasphemy complaint made against him thrown out by the Broadcasting Authority of Ireland (BAI). A man had complained to TV3 about the airing of a part of Tiernan’s Crooked Man show on the station back in March of this year. The comedian described the Eucharist as “that f**king thing” during the show. Despite the complainant knowing to expect coarse and offensive language, he said Tiernan “went beyond the limits of acceptability” when he referred to the Eucharist as “that f****** thing”. The complainant, Frank Murphy, believed that the comment amounted to blasphemy and “nobody should be exposed to this type of remark”. The complainant states that while satire and mockery is part of Tiernan’s routine, blasphemy, profaning the sacred, is an entirely different matter. In response to the complaint, TV3 said that Tommy Tiernan is a comedian and comedians typically use material that may not be to everyone’s liking. Murphy’s complaint was rejected unanimously by the BAI. The body said that the reference to the Eucharist was made during a comedy performance and comedians are expected to push the boundaries of acceptable speech. Email “'That f**king thing': Tommy Tiernan receives complaint over 'blasphemous' comment ”. 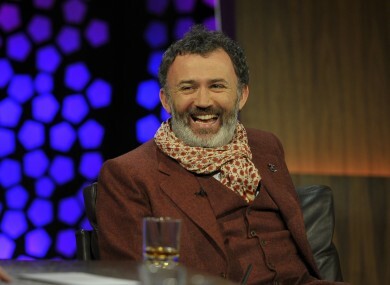 Feedback on “'That f**king thing': Tommy Tiernan receives complaint over 'blasphemous' comment ”.